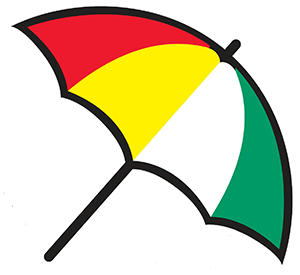 Arnold Palmer's Restaurant - "The King"
The owners and staff of Arnold Palmer's Restaurant are deeply saddened with the passing of our dear friend and partner. There is no way to adequately express the depth of our loss, the loss of millions of Americans, and people around the world, who loved and admired this great man. For more than a half century, Arnold Palmer was one of the best-known sportsmen and businessmen in the world. As a professional golfer, he won 92 national and international championships, 62 of them on the regular PGA Tour during his prime playing years. These followed a formative amateur career that peaked with his victory in the 1954 U.S. Amateur Championship. Most prominent among the professional titles were four Masters (1958-60-62-64), two British Opens (1961, 1962) and the memorable U.S. Open Championship at Cherry Hills in Denver in 1960. 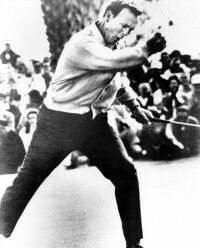 Palmer also represented the U.S. in the Ryder Cup Matches as either a player or captain seven times. Among the countless awards recognizing his golfing exploits and acclaim are "The Athlete of the Decade" for the 1960s by the Associated Press, the Hickok Belt Professional Athlete of the Year and Sports Illustrated's Sportsman of the Year, both in 1960. Palmer was equally successful in the corporate world. He was Chairman of the world-encompassing Arnold Palmer Group and had ownership positions in two golf and country clubs, an automobile dealership, and a flourishing golf course design company. He co-founded and was consultant to The Golf Channel, a firmly-established cable network entity. 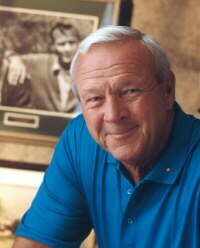 Arnold Palmer was born in Latrobe, Pennsylvania, on September 10, 1929. He grew up on the grounds of Latrobe Country Club and developed his love for the game of golf through the encouragement of his parents, especially his father, Milfred J. (Deacon) Palmer, who was the golf professional and grounds superintendent for nearly 50 years. The youthful man, a high school star, won his first of five Western Pennsylvania Amateur Championships at the age of 17. He had a fine collegiate career at Wake Forest and a year after completing a three-year hitch in the Coast Guard won the U.S. Amateur and turned professional in November of 1954. He was enshrined as a charter member of the World Golf Hall of Fame as well as the American and PGA Halls of Fame. He has served as Chairman of the United States Golf Association's Members Program since its inception in 1975 and was the Honorary National Chairman of the March of Dimes for 20 years. 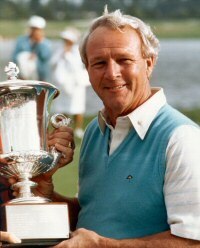 Read more about Arnold Palmer's remarkable history at ArnoldPalmer.com. Tour our new Palmer Room featuring unique, one of a kind memorabilia, photos, trophies, and personal items showcasing the life and career of Arnold Palmer.